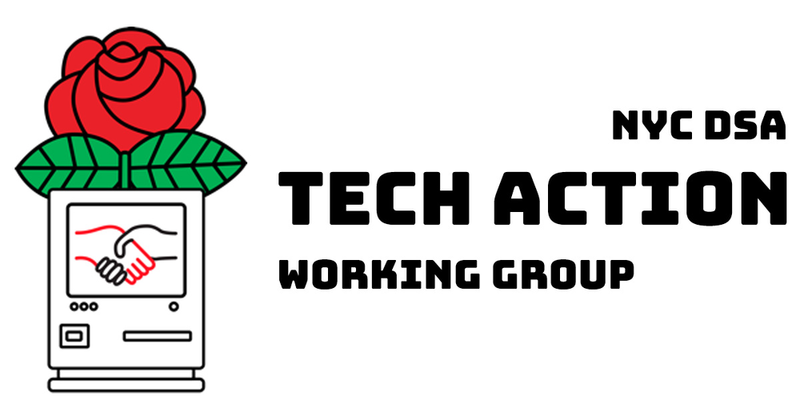 Join us for the June Tech Action Meeting! This month's meeting we'll be discussing the broad topic of "Surveillance Capitalism". While Facebook and the Cambridge Analytica scandal brought the term to the mainstream, it's becoming clearer and clearer to the most that mass data collection generates the majority of the profits of internet companies and has for a while. We'll try to answer: How did this happen? What futures do these practices point to? How can socialists not just resist this, but imagine a different, more equitable digital economy? The meeting will host guest speakers Ingrid Burrington, artist and author of Networks of New York: An Illustrated Field Guide to Urban Internet Infrastructure; and Rob Horning, editor at Real Life and writer of the blog Marginal Utility. As always, drinks to follow across the street at the Black Door. Readings and discussion questions will be posted to https://techaction.nyc/materials shortly!